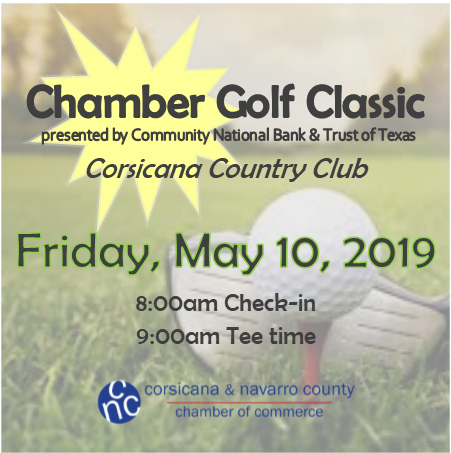 Join us for the Annual Chamber Golf Classic on Friday, May 10, 2019! We will be teeing off at 9:00 a.m. (Scramble, 2-Person Teams) at the Country Club. Check out the registration packages and gear up for a great day on the course! Tournament begins at 9:00 a.m. with lunch and awards to follow.